Are you getting the most value possible through your business video? More than ever before, businesses are engaging with their employees through e-learning and corporate communications. Although many businesses know the importance of video, many do not understand how to maximize its potential. 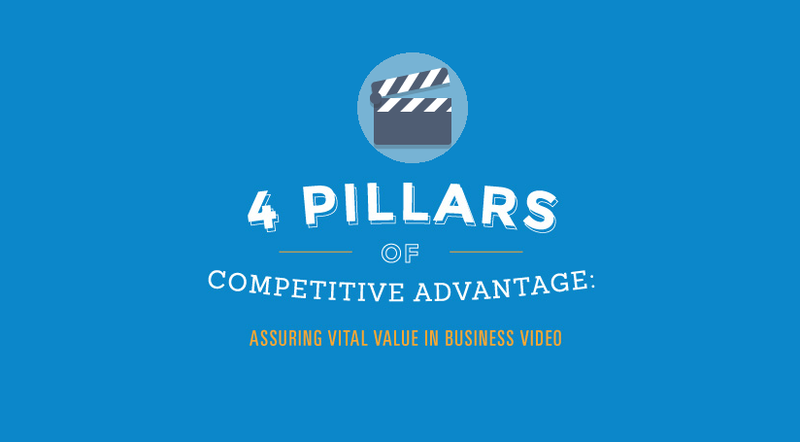 Take a look at this infographic titled: "4 Pillars of Competitive Advantage: Assuring Vital Value in Business Video" from KZO Innovations to ensure that your video content is helping you stay competitive. Your business videos must be easily shareable, because the new frontier is social media. 75 percent on internet users over the age 45 prefer sharing information through email. However, 60 percent of those under 30 prefer sharing through social media.